World of Tanks, the tank-based combat sim from Wargaming.net, is well known as a popular, free to play title. It pits you, and your chosen tank crew and steel horse against the rest of the world. It’s a great title. It’s entertaining and can be enjoyed individually or with a group of friends. But there are a few areas that aren’t as liberating. World of Tanks is based around WW2-era tank combat in a variety of locations. You, along with the rest of your online team, take on the opposing side, using whatever vehicles you have available. Victories and certain actions can result in achievements and rewards, such as experience bonuses and in-game currency. You can then use these to unlock upgrade packs to improve your tank and also to unlock other, more advanced tanks. You can also opt to use artillery, or light, medium or heavy tanks. Most vehicles can be improved upon, both mechanically and visually. Like most free-to-play games there are areas that can be boosted or improved upon by spending a few sheckles. Fortunately, you can’t just boost your way to superiority, although you can bypass some of the technology trees to gain certain vehicles, though these are usually isolated and can’t be improved upon. I’ve done it myself. I spent real money on gold to use in-game, and subsequently boosted several tanks by converting experience and then buying a heavy tank, which is separate from the conventional technology tree. So the only changes I can make to it are cosmetic, or I can purchase better ammunition. But the tank itself will remain as it is — it won’t get a better engine and it won’t get better armour. When WoT was initially released as a beta on the Xbox 360 it was an enjoyable but sometimes buggy affair. But those problems were quickly ironed out until the full release. And those of us who had been there from the start earned a few freebies, one of which was a free tank. I now play it on the Xbox One, and it’s great. the visuals have improved a great deal since the 360 and the controls are also much better. Wargaming have steadily improved an already entertaining title with each progressive update. However, one area that did raise an eyebrow the other day was the in-game currency. If it looks good it’ll probably cost you. Previously, in game currency (gold) could be earned. Granted, this was in the beta and you were limited to a single payment every so often, but it meant you could save up and spend it on camouflage for your tank or buy a dozen or so armour piercing shells. You were limited to what you could do because you earned so little. But you at least got some to spend. Once the beta finished you had to actually buy gold using real money, and at first it was a relatively cheap affair. But recently I dared to venture into the online ‘shop’ to see how much it was for a tank. nothing too monstrous or crazy, just a decent tank that’s currently being promoted. And I was left somewhat speechless. For a WW2 British Churchill heavy tank, with a few extras I would need to shell out enough real money to buy the gold to afford it, which was an astounding £64. SIXTY FOUR of her Majesty’s POUNDS! WTF? £64 for one tank. You can probably tell that I’m a little surprised. Okay, so the tank in question comes with several additions, such as a trained crew, ammunition and some cosmetic bonuses. But £64 is a lot of money. That’s more than your average Xbox One game. Sure the tank is good in game, I’ve seen players use the Churchill to great effect. But £64? I understand that Wargaming have to cover their costs. The game is free for crying out loud and their staff can’t pay their mortgages with good will and cheesecake. You can download it and crack on, without spending a penny. So is it really that unfair? See that camouflage pattern? Of course you can’t, it’s camouflage. Expensive camouflage. I play World of Tanks as often as I can, which is five or six times a week. In that time I can gain some experience and some in-game currency, but not the valuable gold. 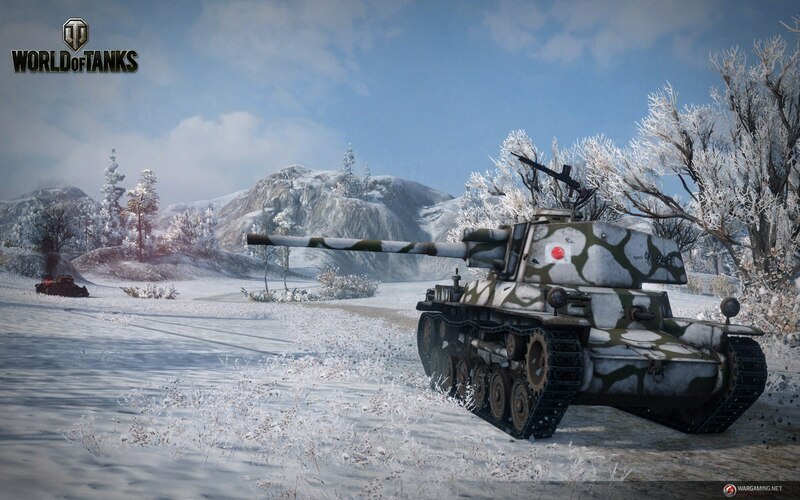 And buying gold provides me and other players with the ability to make a few short cuts and make permanent changes in terms of cosmetic changes, such as camouflage or emblems that I can proudly display on my tank. Gold can literally allow you to do anything in terms of improvement. In fact, I’m guilty of doing just that. I previously bought a Chinese tank last year. And after buying enough gold I ended up spending around £25 on a medium class tank. It’s no slouch on the battlefield, but I certainly can’t just go romping across to the enemy and expect them all to die. it’s a decent vehicle but it’s far from unbeatable, which is good really. I’m wholly against games allowing players to simply pay their way to the top. And World of Tanks does avoid that. It can give you a better tank, but it won’t make you a better player. 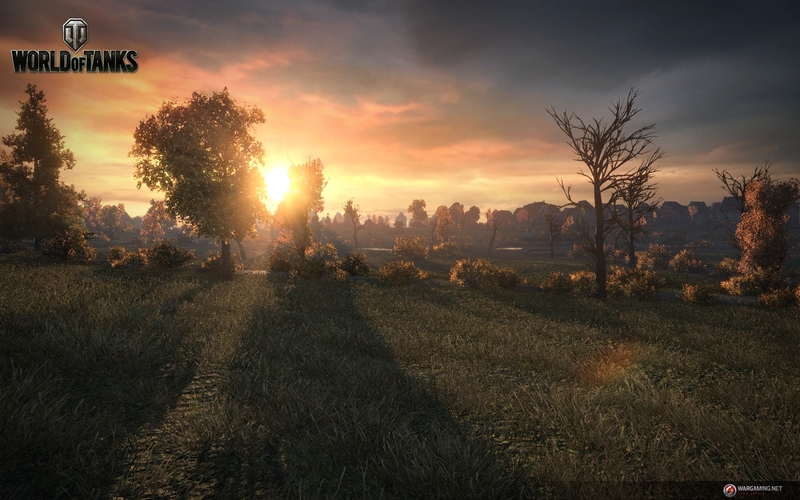 There’s no denying it, Wargaming have done a superb job of making the horror of war, er… beautiful. But in comparison, let’s look at other packages and upgrades from other titles. Take Forza Horizon 3 for example. A superb game and a AAA title. And the basic game upon release was around £49. And any additional car packs will cost you. Those cars can be an improvement over the release day cars because they’re faster, or are better off-road, or they’re better for drifting with. But I certainly wouldn’t pay £64 for an in-game car, regardless of what I could do with the car. But Forza Horizon 3 is very different to World of Tanks. For a start is has a campaign as well as online play. Whereas World of Tanks is mainly aimed at online play. That means your primary opponent is human. So what better way to get the edge than by playing often and buying a few upgrades. But does that really warrant a tank with a £64 price tag? The £64 Churchill Tank won’t make you a tank above tanks. It’ll give you an edge to some degree. But you also have to contend with other players who are spending just as much on tank destroyers, and can theoretically remove your costly vehicle with a few well-placed shots, rendering your pricy expansion inert. I suppose, reducing the price risks turning World of Tanks into a wallet-based arms race, which would ruin the game. And the option to buy it is there if you’re willing to spend the cash, supporting the development of additional content. But it’s still a shock. perhaps that’s the intended reaction. Play a lot and you’ll eventually get it anyway, more or less. I’m not against the price. I’m shocked and stunned by it. And reducing the price would mean opening it up to a wider audience, increasing the use of ‘purchased’ tanks and ruining the game. But if that’s the case, and I’d never spend that on a single tank, why am I so tempted? 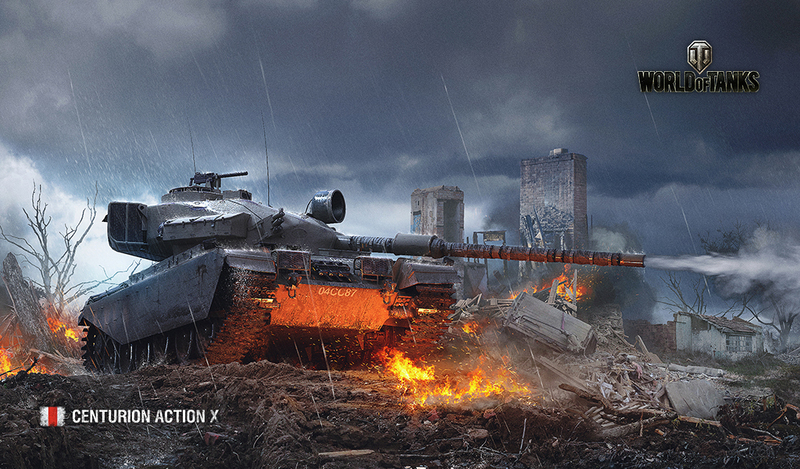 Let us know your thoughts on World of Tanks in the comments section below. Next Post How about a few rounds of cards? Gwent, specifically.